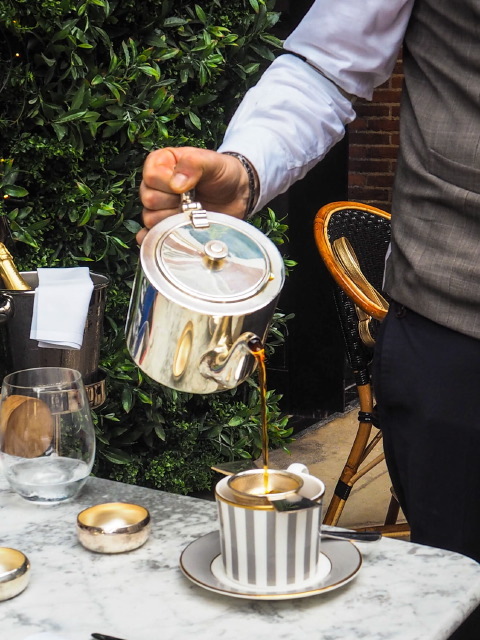 I’ve always been a fan of The Bloomsbury Hotel and consider its bar and terrace undiscovered gems in the heart of London. Well, that’s what I thought a couple of years ago because since my last visit there have been developments that have completely transformed both spaces and now there seems to be plenty of chatter about this West End hotel. 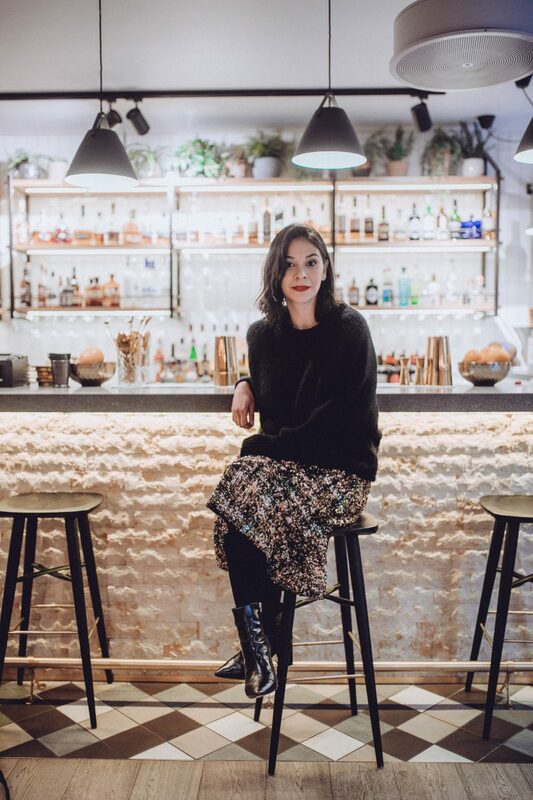 The al fresco space which is a minute’s walk away from Oxford Street and Tottenham Court Road is now called the Dalloway Terrace. 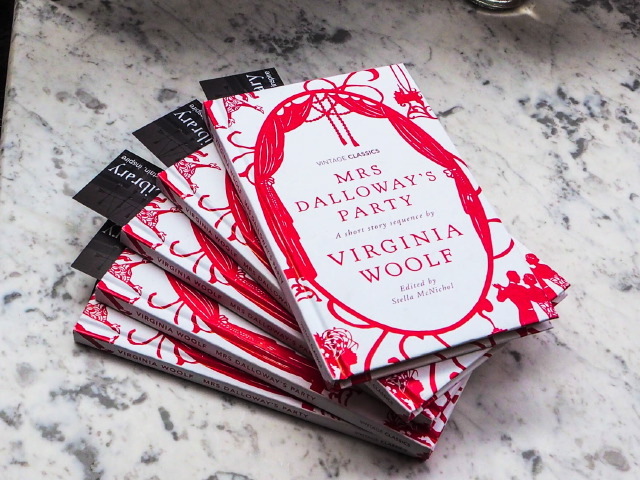 And when you consider Bloomsbury’s literary heritage, it makes sense that The Bloomsbury Hotel would name its finest feature after the most prolific character from one of Bloomsbury’s former residents, Virginia Woolf. In fact, to this day Bloomsbury is still considered one of the literary capitals of the world with Bloomsbury Publishing and Faber & Faber still residing within this beautiful area. 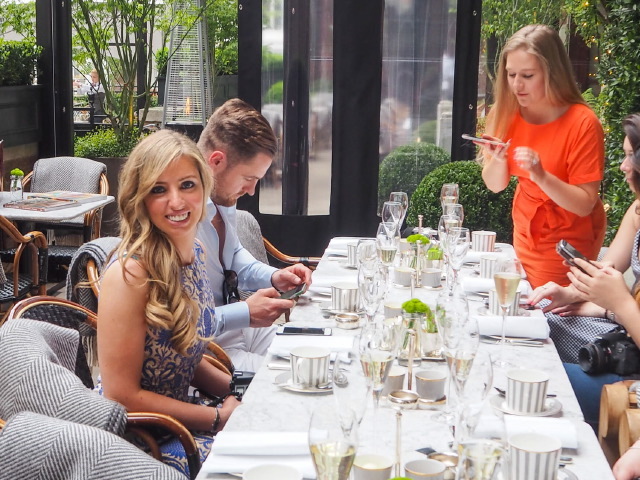 So when I was invited to a bloggers afternoon tea which would be hosted by Angie, I was very excited to join Emma, Lauren, Katie, Honey, Jess, Ben, and Mehreen. 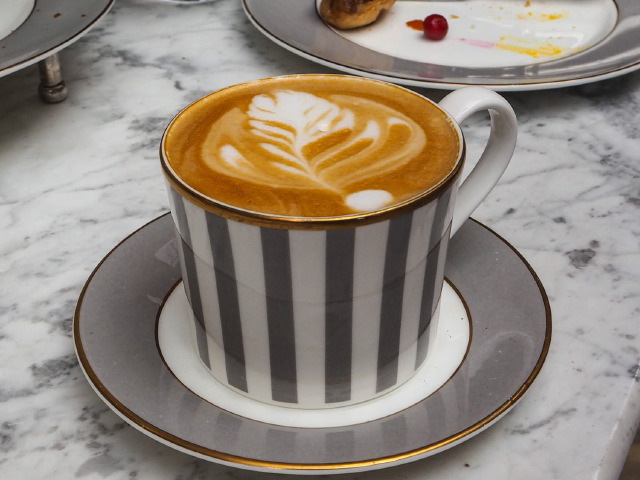 … we all took our seats to enjoy a new afternoon tea experience with the weather on our side. I’m not so much of a big tea drinker maybe it’s because I don’t think soya milk suits tea as it does coffee. But I do love non-milky tea and so I ordered their white tea, which I enjoyed. 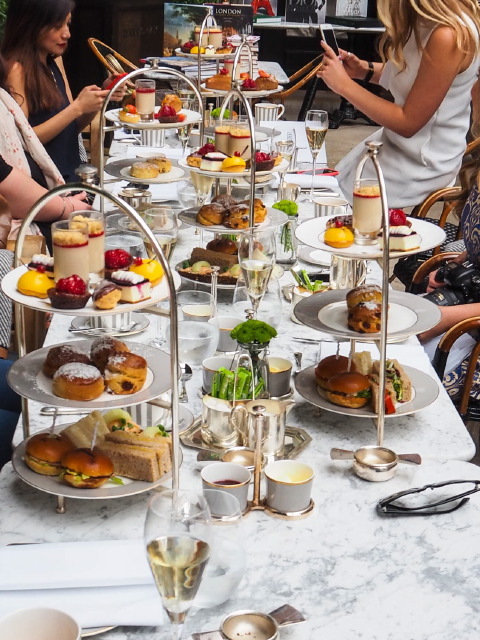 As for the menu, The Bloomsbury Afternoon Tea was inspired by original recipes from the 1920s and 1930s which have been given a modern twist by the hotel’s chefs. I had a gluten-free version of the menu, which was the first time I had tried a gluten-free afternoon tea. Admittedly, it has made me reconsider cutting out wheat so drastically and for my next afternoon review I am planning on opting for the original menu for fear of missing out again. 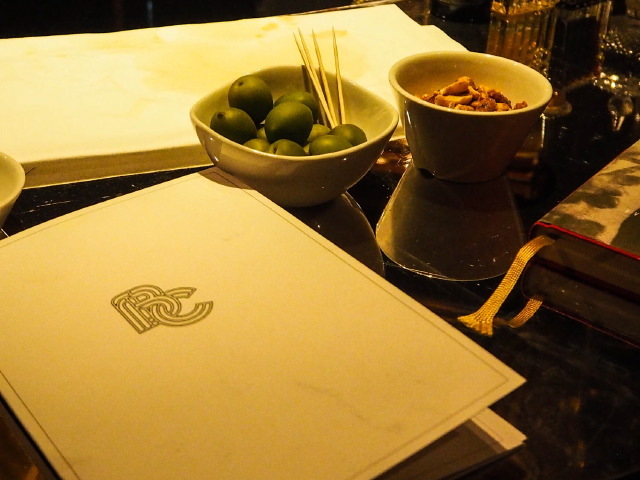 … conversations meandered into the evening when we left the terrace and made our way down the stairs, past the twinkling lights and live jazz music – and headed into the hotel’s bar which is another gem in itself. Unfortunately, soon after this photo (below) was taken the battery in my camera ran out so I have no photographic evidence of the wonderful cocktails served here. 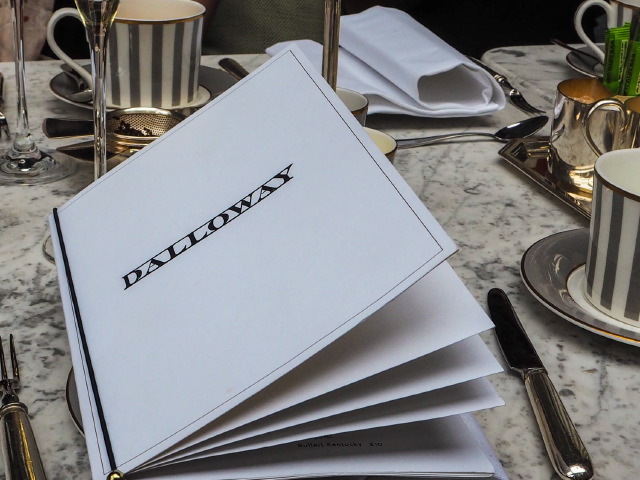 … along with the wonderful oasis set in the heart of the West End, that is the Dalloway Terrace. 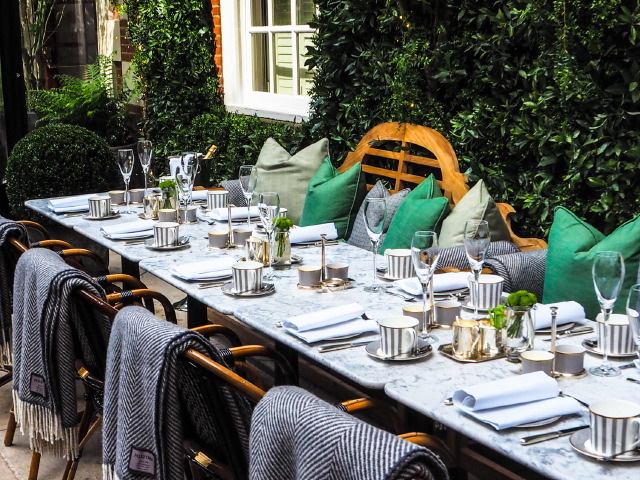 *Thank you Angie and Dalloway Terrace for a gorgeous afternoon! 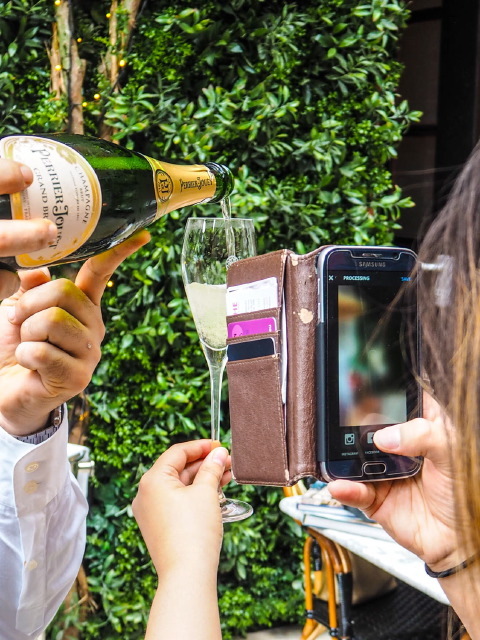 Dalloway Terrace, The Bloomsbury Hotel, 16-22 Great Russell Street, London WC1B 3NN.